Westworld has some new company. 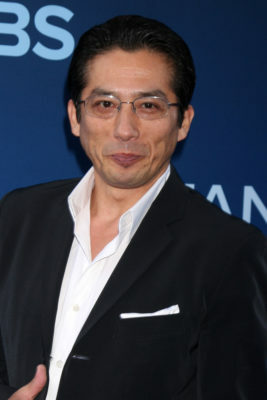 Deadline reports Hiroyuki Sanada has joined season two of the HBO TV show. Based on the 1973 movie, the sci-fi Western is set in a futuristic theme park where visitors pay a lot of money to act out their Wild West fantasies while interacting with lifelike robot “hosts.” The cast includes Jeffrey Wright, Anthony Hopkins, Ed Harris, Evan Rachel Wood, James Marsden, Thandie Newton, Tessa Thompson, Sidse Babett Knudsen, Jimmi Simpson, Rodrigo Santoro, and Shannon Woodward. Few details have been released about Sanada’s character on Westworld, but he will be playing someone named Musashi. He joins fellow new cast members Gustaf Skarsgård, Fares Fares, and Betty Gabriel. Season two of Westworld is slated to debut on HBO in 2018. What do you think? Are you a fan of Westworld? Are you excited for the new season? Very little was based upon the movie that was made in 1973 . That 20% in the name itself. otherwise it is has very little resemblance to the 1973 movie which was much better than the series. But then again that’s my opinion.